Always dreamed of making a game but don’t know how to programme or code? 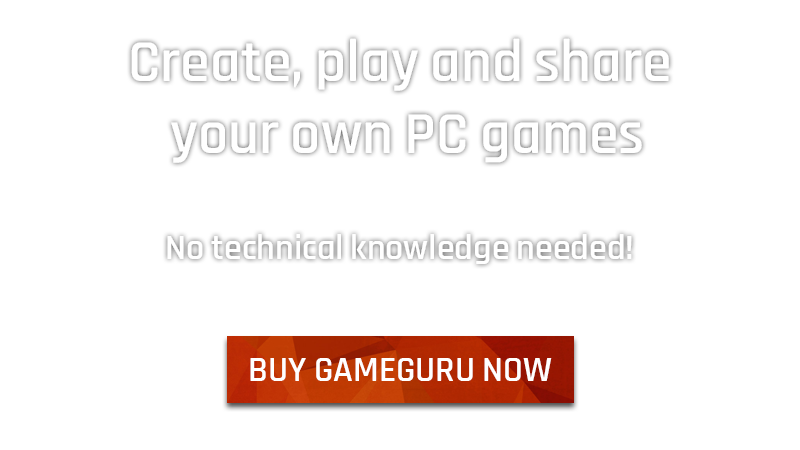 Now you can create, play and share fun games on your PC with no coding knowledge! 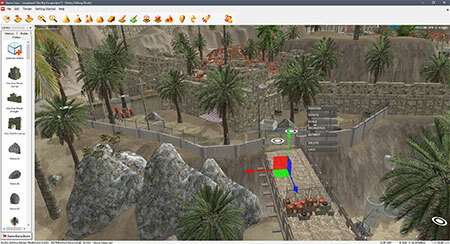 With GameGuru you can build your own world, using easy to use, creative and enjoyable tools. 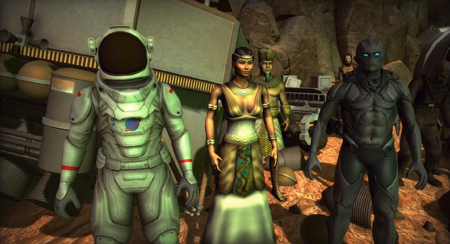 Populate your world by placing down characters, weapons, ammo and other game items. With the press of a button your game is built automatically for you and is ready to play. Want to share your creation with others? 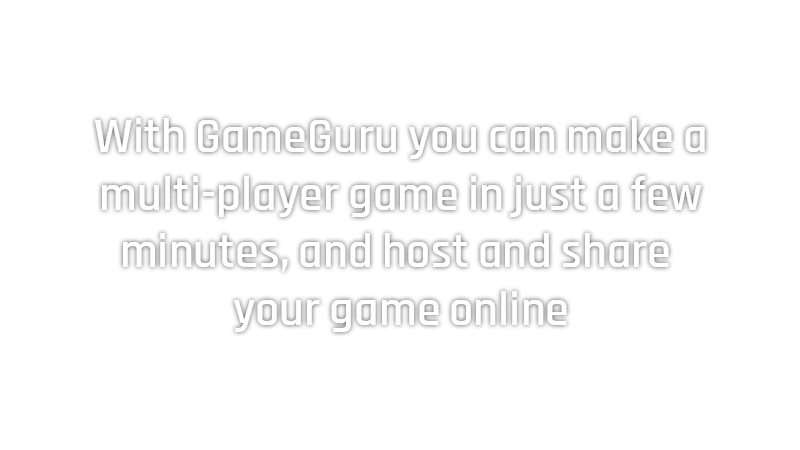 GameGuru gives you Multiplayer game creation in 3 steps! 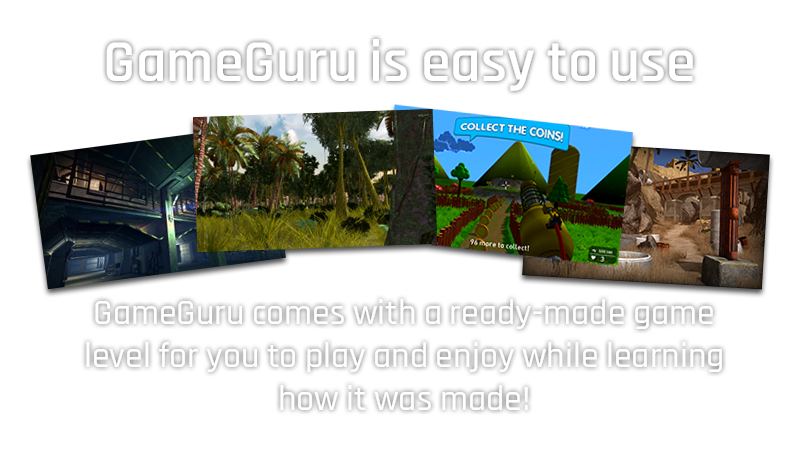 Sign up and become part of the GameGuru family! 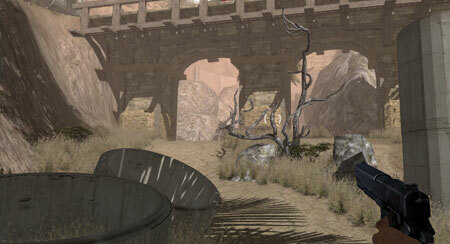 The forums are easy to use, great for sharing and a place to collaborate together.